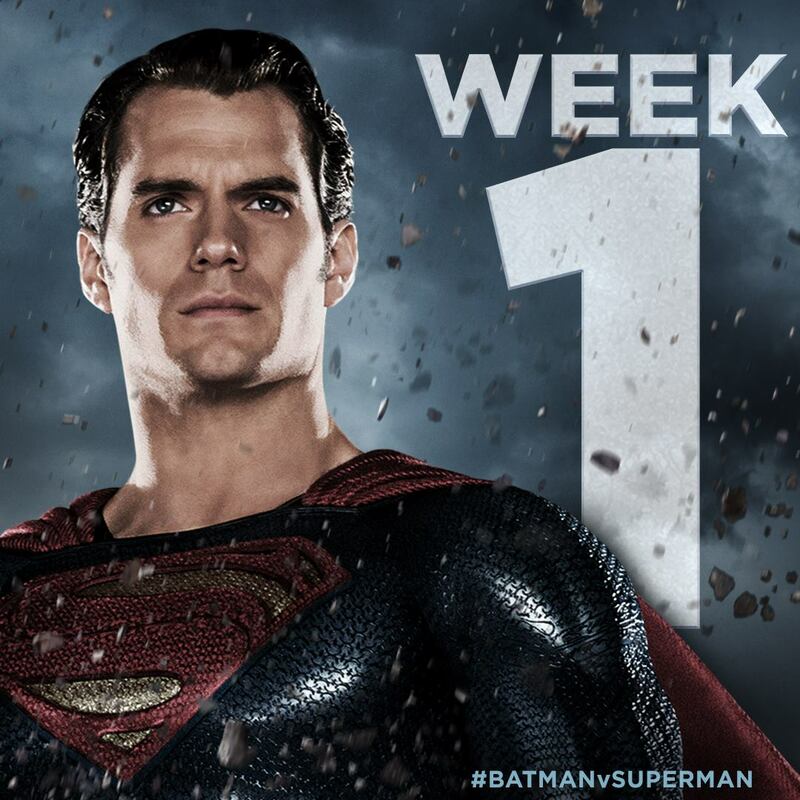 Henry Cavill News: DC Rolls Out Comic-Con Schedule, Ultimate Edition Almost Here! DC Rolls Out Comic-Con Schedule, Ultimate Edition Almost Here! The Batman v Superman Ultimate Edition is set to be released next Tuesday, just a day before Comic-Con begins in San Diego. And if you're headed that way, there will be treats waiting for you. Warner Bros. put out its schedule yesterday, and today DC Entertainment rolled out everything its bringing to the con. It includes specific information on autograph signings with the cast of Wonder Woman and Suicide Squad, details on Wonder Woman's invisible jet display, and much more. Read the official press release and look for full coverage from Comic-Con starting next Wednesday. BURBANK, Calif. (July 12, 2016) – DC Entertainment is pulling out all the stops in 2016 to make Comic-Con International: San Diego an event to remember for the multitude of fans attending July 20-24. The greatest SuperHeroes and Super-Villains in comics and pop culture, the hottest artists and writers, exciting events and panels along with some of the most popular movie stars in Hollywoodwill all combine to make the DC booth (#1915) the place to be every day of the convention. On Saturday, fans will be lining up early to make sure they meet and get autographs from the cast of “Suicide Squad”when they make their appearance at the DC booth from 1:15 – 2:00pm. Cast members will include: Margot Robbie (Harley Quinn), Will Smith (Deadshot), Jared Leto (The Joker), Joel Kinnaman (Col. Rick Flag), Viola Davis (Amanda Waller), Jai Courtney (Captain Boomerang), Jay Hernandez (El Diablo), Adewale Akinnuoye-Agbaje (Killer Croc), Scott Eastwood (Lieutenant GQ Edwards), Cara Delvingne (Enchantress), Adam Beach (Slipknot) and Karen Fukuhara (Katana). As with the “Wonder Woman”cast signing, wristbands will be extremely limited; they will be distributed Saturday morning beginning at 6am at the Sails Pavilion with the WB queue via lottery system. • Fans jaws are still agape and minds blown from the biggest comics event of 2016: DC’s linewideREBIRTH relaunch! Join moderators Dan DiDio and Jim Lee along with some of the industry’s most creative talent to see what’s to come! (Saturday – 5:30, Room 6DE). • Presented as “Comics for Dangerous Humans,” dive into the disruptive new pop-up imprint from My Chemical Romance front man and Eisner Award-winning writer Gerard Way, DC’s YOUNG ANIMAL. Joined by an experimental group of collaborators, Way will unleash a collection of bold new stories that will take the medium to places never before seen (Friday – 5:30, Room 5AB). • Be there as top talent from the genre-defying Vertigo imprint such as SUICIDERS: KINGS OF HELL.A. writer/artist Lee Bermejo, LUCIFER artist Lee Garbett and SHERIFF OF BABYLON writer Tom King discuss what’s to come in their current series (Thursday – 4:30, Room 8). • Always the most hilarious panel at the Con, the MAD Magazine panel led by longtime editor John Ficarra and his “Usual Gang Of Idiots” including longtime artist Sergio Aragones and GOODNIGHT BATCAVE artist Tom Richmond will be one not to miss (Thursday – 6:00, Room 5AB). • Highlighted by stunning new Wonder Woman 75thanniversary figures, the DC Collectibles panel will unveil their latest line of action figures, statues, props and more (Thursday – 10:00, Room 9). • The Graphitti Designs booth #2314 will also once again carry highly collectible, exclusive variant comic books available for SDCC attendees only. All titles will be on sale beginning Wednesday Preview Night, July 20. DARK KNIGHT III: THE MASTER RACE #5 features an exclusive cover from BATGIRL artist Rafael Albuquerque and sells for $15 and is limited to two (2) copies per customer. Additional variants include BATMAN #1, WONDER WOMAN #1, and SUPERMAN #1 featuring art by Jim Lee and imprinted on silver foil, each selling for $10. JUSTICE LEAGUE #1 also receives the exclusive convention variant treatment, featuring cover art by Tony Daniel imprinted on silver foil and selling for $10. This is all great news! Can't wait for that Ultimate Edition. Once I get it, I'm gonna make it my mission to pinpoint Lana Lang. She was in this movie played by Emily Peterson and was at Clark's funeral, but I couldn't find her. But I will. As a comics fan, it is my unofficial duty to hunt down Easter Eggs; like those belonging to Superman. More to the point, can't wait for Comic Con!